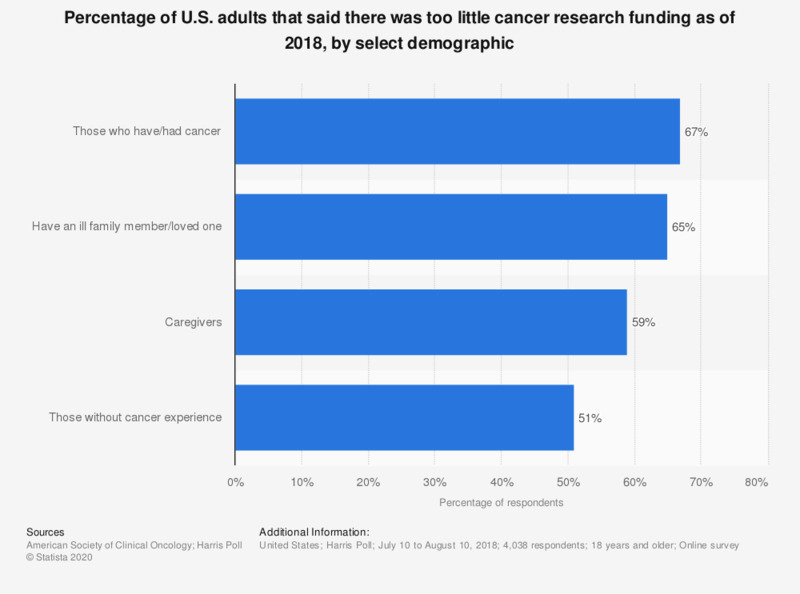 This statistic shows the percentage of U.S. adults that agreed there was too little cancer research funding as of 2018, by select demographics. According to the survey, among those who had/have cancer 67 percent said there was too little cancer research funding. Comparatively, 51 percent of those without cancer experience said there was too little cancer research funding. Original question: "In your opinion, is that amount budgeted for cancer research in relation to the federal budget too much, too little, or just right?"